Sweating is the most irritating part of this season. And it brings many germs with it. So its better to take bath twice a day. Try to take a bath after coming back from work or before going to the bed. Wash your clothes daily as they gets loaded with lot of sweat and germs. Keep them in a separate place if you don’t have time to wash them everyday. Make a habit of this, specially if you have kid at home. Don’t use much deodrant these days. You can use telcom powder. But its better to keep the pores of our skin open as much as possible. Take a lot of water, fruit juice, lemon juice or sugar-salt water regularly. With sweating, lot of body moisture and salt goes out from your body. So take plenty of liquid to maintain a balance. 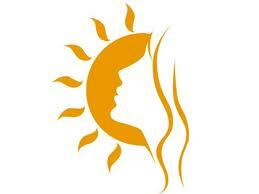 Those who expose themselves for a long period of time under sun should use sunscreen lotion. You can also cover your bodypart with soft cotton clothes to get rid of direct contact with sun. You can use neem water (take few fresh neem leaves, boil & cool the water) to wash your body, twice a week. This will relief you from itching problems or any other skin rashes. Try to avoid being in the sun if its not required. Plan your work in such a way, that you spend the most part of the day in a cool place and then in the afternoon you might finish those works. Use sunscreen lotion to protect your skin. Try to have simple meals specially in day time. Like daal roti, rice with simple curry or curd. Try not to have masala or spicy food. Which might take much time to digest in summer. Be cautious with all these tips and make your own rule to tackle this summer days. As one bad habit may make you sick and which might hamper your office work as well as family atmosphere. Remember you are a key contributor to your family. You have to stay fit! Keep healthy and stay fit. Thanks for your comments. It’s really challenging to stay fit in summer. good tips Manidipa. Each summer is very challenging as you rightly said. Nice blog. I invite you to http://my-hobby-lounge.blogspot.com. wish you a great time there.